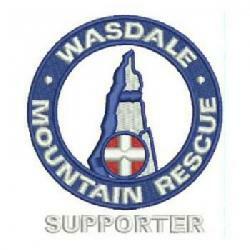 The team was called due to a pair of walkers overdue on Scafell Pike. After is was ascertained that they were still on the fell, the team searched Scafell Pike, in ‘damp’ conditions, from both Wasdale and Eskdale. The missing pair were found unhurt by a member of Duddon and Furness MRT at around 14:15, on the zig zags above Hollowstones, nearly thirteen hours after setting off from Wasdale Head.